The Green Bay Packers activated defensive tackle Mike Pennel and cornerback Demetri Goodson on Saturday, after each served a four-game suspension for violating the NFL’s policy on performance-enhancing substances. Pennel played in 16 games for the Packers last season, starting five while making 25 sackles and recording one sack. Goodson played in 14 games last season, recording 10 tackles and one pass deflection. He could help the Packers as they deal with injuries to top corners Sam Shields, Damarious Randall and Quinten Rollins. 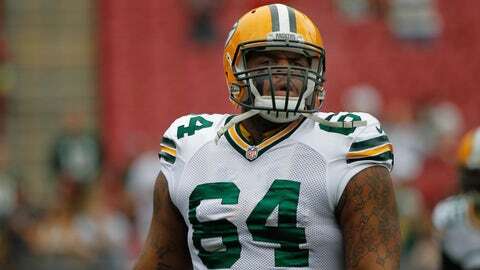 The Packers released defensive tackle Brian Price to make room for Goodson and Pennel.